With little more than three days left of the Premier League summer transfer window, Manchester United are trying to finalise deals ahead of the 2018-19 season. Although a cenre-back is our priority we are not going to rule out new signings in other positions. A new central midfielder could be one of those as we have been linked to a number of players in this role even after the signing of Fred and renewal of Marouane Fellaini’s contract. One of those strongly linked with a move to Old Trafford this summer has been Mateo Kovacic. The Croatian even announced earlier this summer that he would like to leave Real Madrid in order to play more regular first team football elsewhere. To increase our chances of signing the centre midfielder, reports from Spain are that the 24-year-old failed to show up to training today as he wants to sort his future our first. Spanish outlet Marca are reporting his absence today. Since his move to the Spanish capital from Internazionale in the summer of 2015, Kovacic has failed to hold down a regular first team spot. He made only eight La Liga starts in his first season at Real Madrid and only 10 last season. 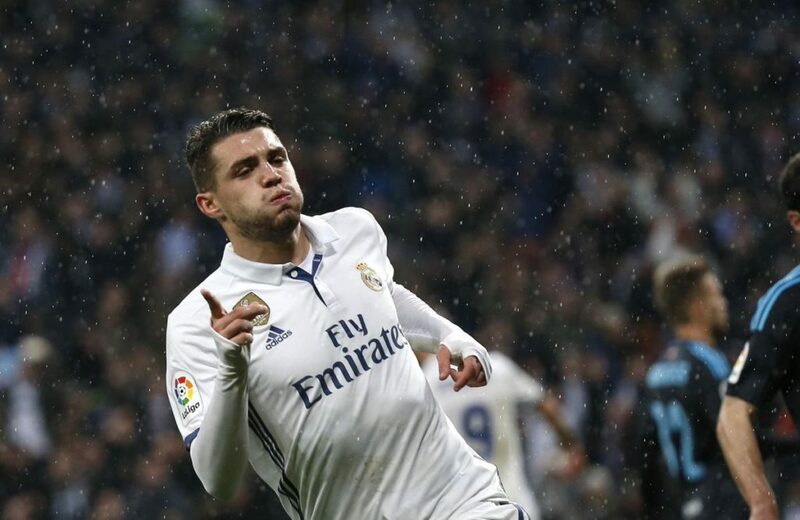 Mateo Kovacic is probably realistic his chances of starting for Real Madrid under Julen Lopetegui this season aren’t greatly improved given that the Champions League holders have Luka Modric, Toni Kroos and Casemiro starting in their midfield three. The 2018 World Cup runner-up has been highly-rated ever since he made his debut for Dinamo Zagreb as a teenager before completing a transfer to Italian giants Inter. He stayed in Milan for two seasons before Real Madrid came in for him. Kovacic aready has 46 caps for Croatia and is an excellent passer of the ball. Whether we could guarantee him more football at Manchester United is questionable though as we’ve just signed Fred to join Paul Pogba and Nemanja Matic in our midfield three.